Story Tracker v2.4 is now available on the App Store for iPhone, iPad and iPod touch. Note: This update requires iOS 4.3 or higher! The original iPhone, iPhone 3G, and 1st or 2nd-gen iPod touch devices are no longer supported. 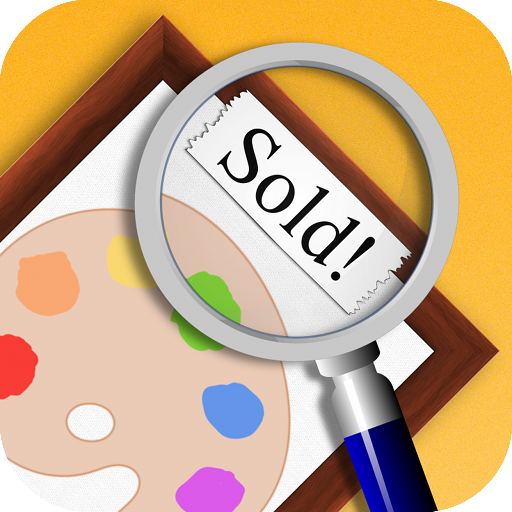 The Artwork Tracker v1.9 update is now available on the App Store for iPhone, iPad and iPod touch. It has been several months since I announced Bonsai Album for Mac, so I thought it was time for an early peek at how things are coming along. This is close to the final interface, and as you can see, it looks similar to the iOS version. The Mac version will include some additional features like printing. enhanced search capabilities, and support for Mac Retina displays. You’ll also be able to transfer data between the Mac and iOS versions over WiFi. The app will be localized into multiple languages, including English, Japanese, French, Italian, German, Spanish, and Portuguese. I’m hoping to provide support for all these languages in the first version, but it may take longer than expected. 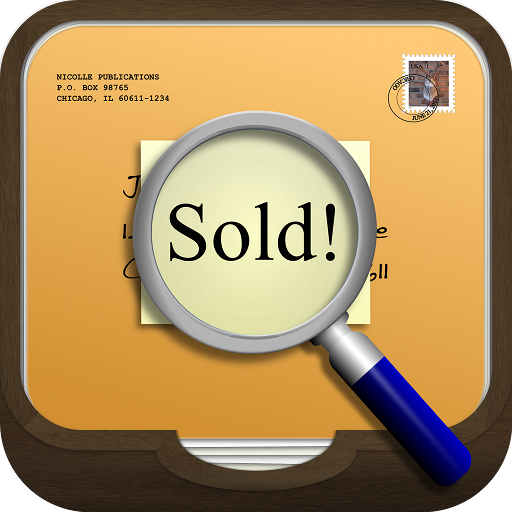 I’m planning to release the app for direct sale via my website, as well as through the Mac App Store. There’ll also be a free trial version available for download, with similar limitations to the iOS Lite version. I don’t yet have a firm release date in mind, but early 2013 looks like a distinct possibility. If Bonsai Album for Mac sounds interesting, you might want to sign up to the mailing list below. 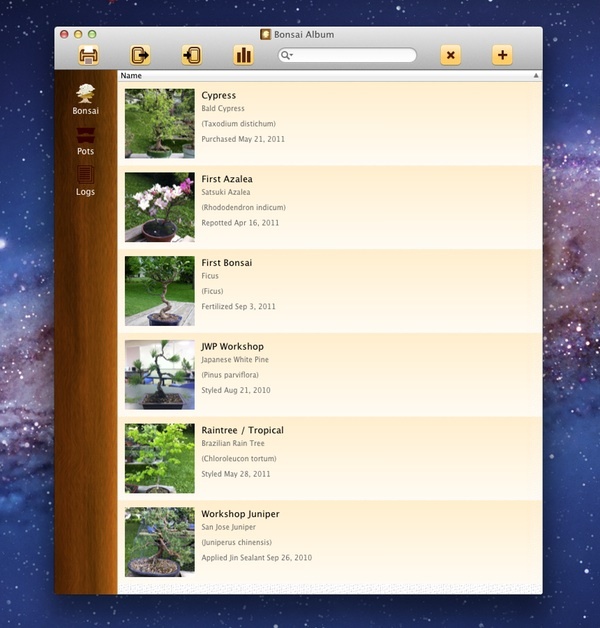 The Bonsai Album v1.8 update is now available on the App Store for iPhone, iPad, and iPod touch.